I was blessed to photograph the annual Martin Luther King Jr. parade here in Houston. I've photographed this event at least three or four times in my eight years here. I really tried to look for pictures that said this is a new world. My feeling, living here in Houston, is that Dr. King's dreams of a true melting pot of equality can come true. I look at children today, including my two children, and they don't see the world in color. I know we still have a long way to go, and I also saw that at the parade. But, that's why remembering Dr. King's message and efforts is so important. But, what I see is improvement and a bright future. you can view the gallery here . Sometimes I'm sent out to find an image that represents the weather. 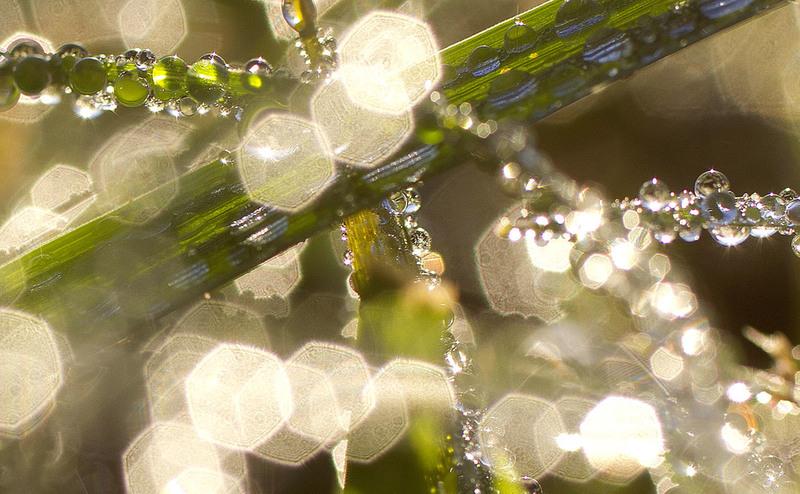 This day I decided to play with my macro lens a bit to make a picture of the morning dew on the grass. Some days trying to find an image that gives a sense of place and a feeling of the day takes patience. I must have stood in this one spot in Hermann Park for more than an hour waiting for the right runner to run past, in the right spot and have the right positioning. Henri Cartier-Bresson called it the getting that moment when all things aligned just right, the decisive moment and has a book with that title. To view my past blog link here. I will have new posts updated soon.